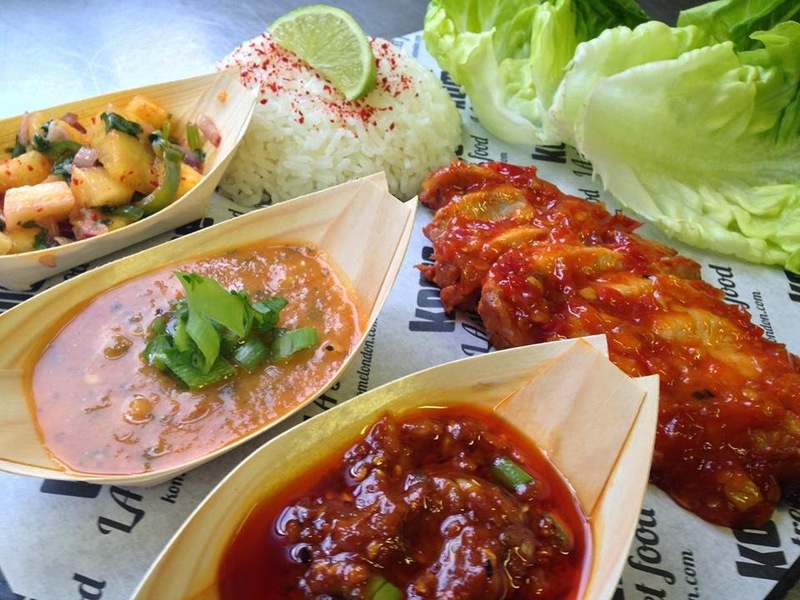 Kome LA Streetfood, who have previously had residencies at The Star by Kings and The Sun & 13 Cantons, are starting a new weekend residency at The Dead Dolls Club in the railway arch in Cambridge Heath Road on Friday & Saturday nights. Go for some Korean / American fusion food - also available as a takeaway. "As the nights draw in and the temperatures drop, Kome has the treats that will keep you warm late into the night. From Friday October 10th Kome will be back working with the lovely people from the Dolls House at their atmospheric club, The Arch, on Cambridge Heath Road. After developing a loyal following at their residencies in King’s Cross and Soho over the summer, most notably with their Momofuku-inspired Ssäms, Kome are bringing their Korean-Mexican inspired best-sellers to the Arch and serving them late into the night. These include their legendary Bulgogi Fries, Kimchi Quesadillas and Little Moons’ scrumptious Mochi Ice Cream Balls. Each weekend the Arch has a stunning line up of jazz, funk, soul, disco and electronic music until 1am and Kome will be serving food until midnight - nowhere else in the area serves this level of quality food that late. Kome will also be offering a takeout service, which will include a £2 drink whilst you wait! Furthermore, there will be amazing drink and food combo deals for those dining at the Arch with the wonderful signature Dead Dolls cocktails."